Jjukku Jjukku is one of the latest Korean BBQ restaurants to hit Koreatown. 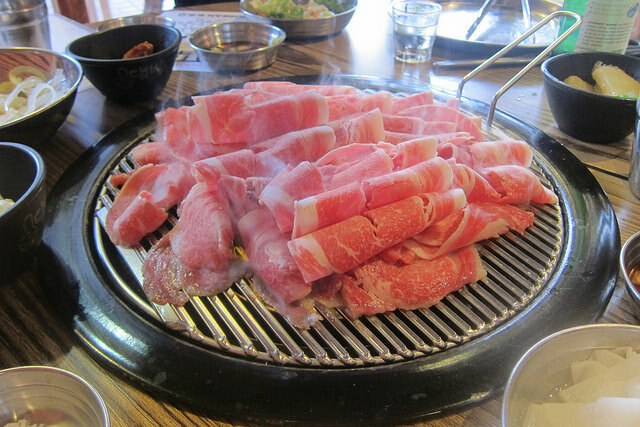 The Ktown joint was initially not all-you-can-eat but quickly found people love bargains. They have three options; $12.99, $19.99 and $25.99. I didn’t seem much difference between the $19.99 and $25.99 option so we went with the middle option. The three of us tackled about 8 orders including great cuts of beef and pork. For good measure, we also grilled mushrooms and Jjukku Jjukku’s signature pork belly and seafood teppanyaki. A typical meat I like to order is the brisket. This thinly sliced chadol (brisket) cooks quickly so the entire plate of it was cooked all at once rather than portioned out. We also got tongue but it’s generally not fatty enough and tends to burn if you don’t watch it too closely. 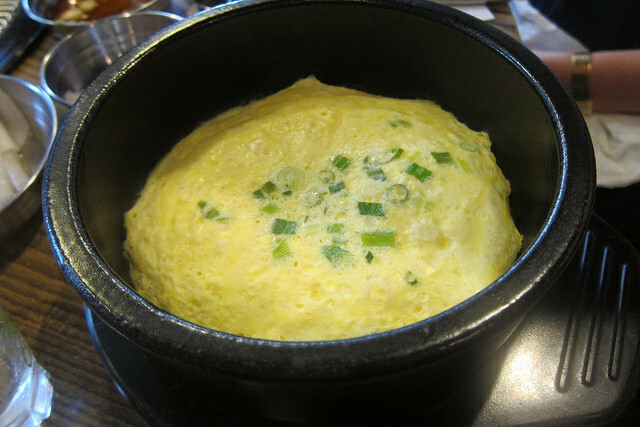 One of my favorite Korean foods is the steamed egg which used to be part of standard banchan but lately I’ve noticed you have to order it with your meal. It’s a great palate cleanser in between bites of meat. Jjukku Jjukku is known for teppanyaki, this special dish featuring pork belly, shrimp and octopus in a spicy sauce. There are also a couple of noodles thrown in for good measure. Our server recommended getting this last after you’re done grilling. We asked for the lunch box which takes a little bit of time. We were mystified but it turns out it was well worth the wait. 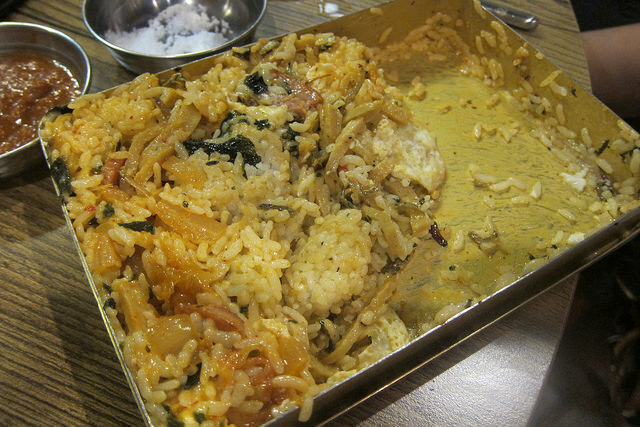 The dosirak (lunch box) is filled with not just your standard kimchi and egg but also bits of fish cake, tiny dried fish and spam. Yum! It’s a great way to round out your meal of meat and more meat. 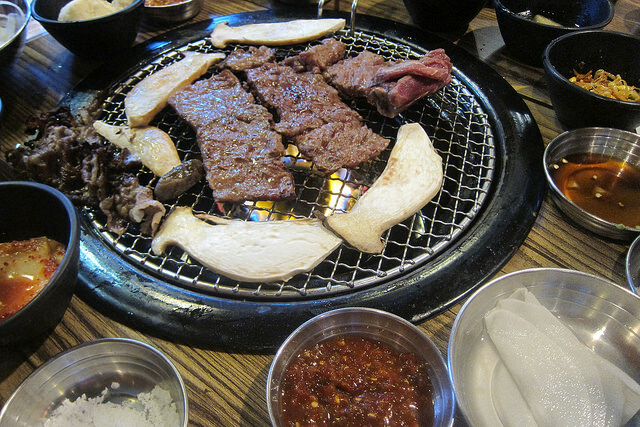 Of the recent KBBQ joints I’ve tried, I would still rank Oo-Kook and Hae Jang Chong very highly. 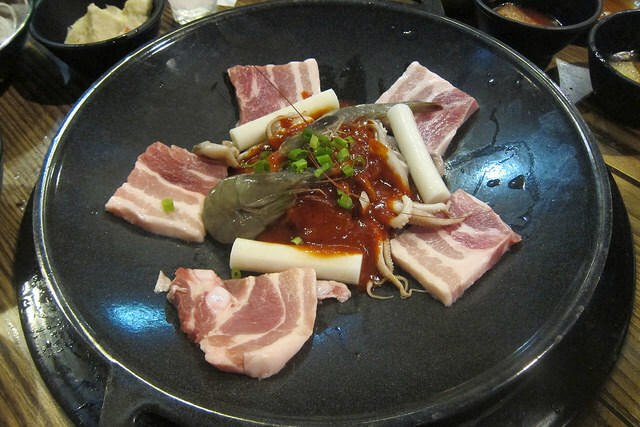 Other Ktown faves include Kang Hodong Baekjeong and Ahgassi Gopchang but they are not all-you-can-eat. And Star BBQ is always good for big groups. Just make sure you wash it all down with soju!